Nancy Rotramel age 63 of Burnsville, Minnesota; formerly of Milwaukee, Wisconsin passed away peacefully on Monday, August 20, 2018. Memorial service will be 12:30, Saturday, August 25, 2018 at St. Mary’s Episcopal Church- Basswood Grove, 8435 St. Croix Trail S., Hastings with visitation starting at 11 am until the time of service. Interment in the church cemetery. In lieu of flowers, donations can be directed to Our Lady of Peace, 2076 St. Anthony Ave., St. Paul, MN 55104. Nancy was born September 4, 1954 of the parents Charles and Arleen (Jankowski) Rotramel in Milwaukee, WI. She graduated from the University of Wisconsin-Milwaukee with a bachelor’s degree. She worked for the Minnesota Department of Human Services for over 25 years and also served as a union representative (AFSCME Co 5) for several years. 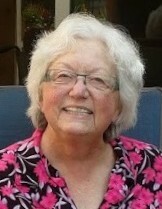 Nancy was an active member of the Ar-Dales Square Dancers Group and St. Mary's Episcopal Church - Basswood Grove. She is survived by daughters, Veronica (Bill) Voelker and Frances (Jared) Hendler; grandchildren, Charlie and Caroline Voelker & Maxwell and Lydia Hendler; brother, Charles "Bud" Rotramel; nephew, John (Maureen) Rotramel; close cousin, Marsha Rotramel; numerous family and friends. Preceded in death by parents, Charles and Arleen (nee Jankowski) Rotramel and daughter, Emily Kate Bethke.